The most important strategic analysis and comprehensive overview of the state of the commercial real estate tech sector is here! 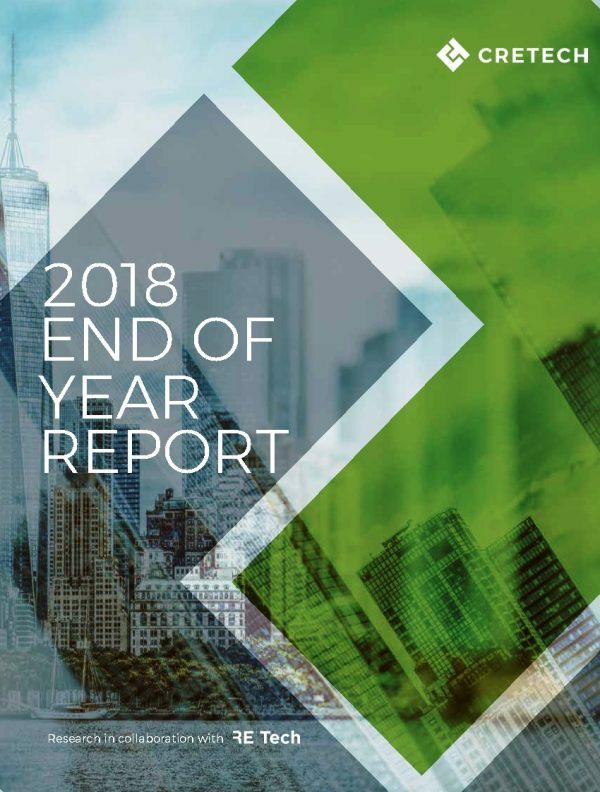 Considered the number one resource for data, trends and startup information, the 2018 CREtech End-Year Report is a must-have for any commercial real estate professional or company. In collaboration with CREtech’s latest acquisition, RE:Tech, the report includes in-depth coverage of the $9.6 billion of investment into the commercial real estate tech sector in 2018, the largest publicly available landscape map of the hottest technologies broken down by category, a breakdown of 65 of the largest funding rounds over the past year and a directory of the most innovative startups that you need to know.